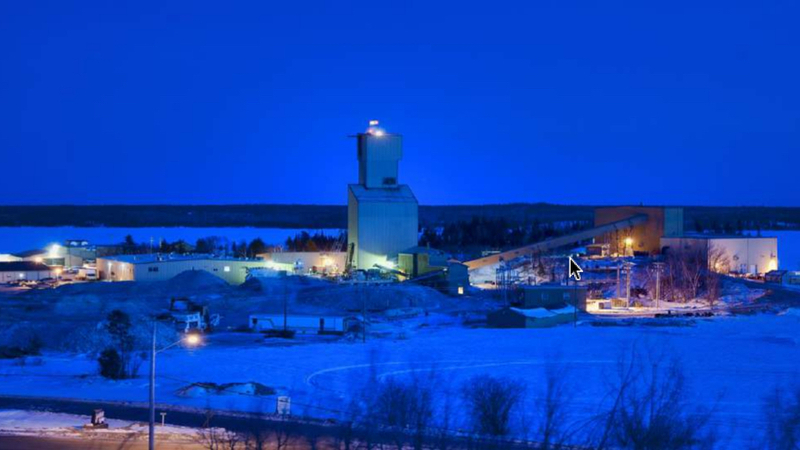 Klondex Mines Ltd. (KDX:TSX) announced this week the immediate reduction of underground mining operations and workforce at its True North mine, located about 165 kilometres northeast of Winnipeg, in the Canadian province of Manitoba. Although Klondex had big hopes for the 43,000-hectare complex when it acquired it in January 2016, the mine didn't make as much money as it was supposed to in 2017. Preliminary full-year 2017 gold ounce production is estimated to be between 24,000 – 27,000 ounces, which is less than the expected 35,000 – 45,000-ounce range. Given these results, the Vancouver-based firm decided to limit underground mining to areas already developed. Once such areas are depleted, underground mining will be suspended and the operation will be placed on care and maintenance status, at least until metal prices are higher. “The Company will continue to process tailings, as contained in its reserve estimate, through the mill for the foreseeable future in order to maximize cash flow and offset expected care and maintenance costs,” a corporate press release reads. President and CEO Paul Huet recognized that the strategy for the site didn’t go as planned. “Following the True North acquisition, the Company implemented an aggressive plan to start up production. We have extensively evaluated our progress to date and have determined that it is in the best interest of the Company and our shareholders to revise our plans for the True North mine,” he said in the media statement. “We regret the implications these actions will have on our workforce and other stakeholders but must ensure the long-term sustainability of the Company,” he added. On a more positive note, the brief indicates that True North’s 2017 drilling campaign was successful and that a new resource estimate should be out in the first quarter of 2018. Also, Klondex said it is assessing the potential of using the True North mill to process ore from both the True North mine and its recently acquired Ogama-Rockland property, which has an inferred resource of 337,000 gold equivalent ounces.